Radiography is a branch of medicine that diagnoses and treats diseases with the use of imaging technology. Individuals practicing this branch of medicine are called radiographers or radiologic and MRI technologists. While MRI and radiologic technologists perform similar duties, there is a difference between the two. MRI technologists operate MRI scanners to create diagnostic images while radiologic technologists perform x rays and other diagnostic imaging exams on patients. According to the US Bureau of Labor Statistics (BLS), MRI technologists’ jobs are expected to grow by 24% from 2012-2022 while the job growth rate during the same period for radiologic technologists is 21%. MRI technologists earned a median annual salary of $65,360 in May 2012 while radiologic technologists earned $54,620 for the same period. Although there is no clear job hierarchy in the field of radiography, many radiographers start out as radiologic technologists and later become MRI technologists. Radiologic technologists must clear an MRI certification exam to become MRI technologists. According to BLS, a majority of radiographers work in hospitals, while the rest are employed in the offices of physicians, medical and diagnostic laboratories and outpatient care centers. Since their services are required in emergency situations as well, radiographers may have to work on weekends, evenings and may even be on call. 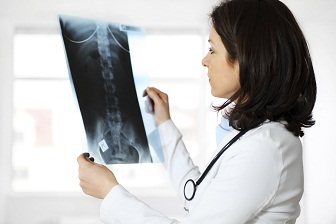 If you are interested in becoming a radiographer, then continue reading. All radiographers are academically qualified to practice in the field of radiography; some are licensed or certified. This depends upon their state’s requirements. If you are still in high school and want to join this challenging career then take classes in physics, mathematics, physiology, chemistry, biology and anatomy. Your emphasis should be on science and math. This degree is essentially for those interested in acquiring entry-level jobs in the field, where graduates work as radiologic technologists. Graduates may be eligible to take the American Registry of Radiologic Technologists (ARRT) examination for certification after completing their education. The admission process for this degree is competitive. While admission requirements vary from college to college, applicants are weighed on their strong academic background in English, science and math. Applicants may further be asked to submit SAT or ACT scores. Furthermore, a curricular GPA of 2.5 or above and science GPA of 2.0 or above may be preferred. Applicants may further be asked to write radiography related essay, to evaluate their English language skills. For non-native English speaking applicants, TOEFL may be required as well. The abovementioned degrees are offered on-campus as well as online. Online radiography programs are considered to be flexible since they allow students to make their own schedule. However, since radiography requires hands on experience, therefore students will be asked to visit their campus for the completion of laboratory related work. A master’s degree in radiography may be offered under the title of “Masters of Science in Biomedical Imaging Program”. The degree can be completed in one-year with full-time enrollment and is specifically for those who have a bachelor’s degree in radiography. Radiographers, who intend to broaden their investigative projects and develop their research designs, should consider pursuing this degree. Is a career in radiography for you? Now that you know what radiographers do and what it takes to become one, you should also know what makes a good radiographer. Radiographers play an instrumental role in early detection of diseases, when it may be possible to cure such diseases. For example, MRI images can detect some types of cancers. MRI images can help doctors differentiate between malignant and benign tumor. They can further help doctors in knowing whether a cancer has metastasized. In addition to diagnosing cancers, MRI test can also help diagnose Multiple Sclerosis (MS). MRI can further help in the diagnoses of stroke. The test can detect brain tissue damage caused by hemorrhages and ischemic stroke. Radiographers, in short, are therefore important in any medical system. Careers in radiography are challenging, yet rewarding. Radiographers must be academically qualified and licensed or certified, depending upon the state you choose to practice in. Q:What is the job outlook with a radiography associate degree? A:According to the US Bureau of Labor Statistics, the job outlook for people with an associate degree in radiography is expected to show a positive trend. The employment opportunities for people majoring in this field are expected to increase by about 21 percent throughout the United States, a percentage almost twice as high as the average for all occupations. Q:What are the educational requirements for a radiography certification? A:Candidates who are applying for a radiography certification must have successfully completed a radiography educational program, accredited by a system acceptable to the American Registry of Radiologic Technologists. This qualification must have been achieved within the past three years before application. All candidates also must have earned an academic degree before becoming certified. Q:What is the job description of diagnostic radiographers? A:Diagnostic radiographers use x-ray machines, ultrasound machines and other ways of imaging technology to analyze patients. They are in charge of gathering and interpreting image data to diagnose illnesses and injuries. They can also contribute towards helping patients formulate a treatment plans. They might work in a variety of hospital departments, such as the operating units, emergency and so on. Q:What sort of courses are taught in a masters degree in radiography? A:As part of a masters degree in radiography, you will be taught a variety of courses and will be required to complete a certain number of credit hours for practical work as well. The courses taught would revolve around subject areas such as health physics, patient assessment, interventional procedures, pathophsyiology and radiobiology. Q:What can I do with a bachelors in radiography? Q:What schools are offering radiography bachelor degree programs? A:A number of colleges are offering radiography bachelor degree programs. You can search online or browse through our page to learn more about these schools. Before you select a school, check if the school is accredited or not. Also check the ranking, student reviews, faculty qualifications, and costs of the program. Q:A radiography degree will cover what different subjects? A:A degree in radiography will cover a range of theoretical and practical subjects. Students will develop a strong basis of knowledge and will also learn how to use radiography equipment. Here are some of the subjects covered: applied physics, radiographic procedures, imaging and quality assessment, radiologic technology, clinical education, digital imaging, and radiation biology. Q:How will I get hands on experience in online radiography programs? A:Online radiography programs are offered by a number of colleges. The coursework is usually covered through videos, online lectures, tutorials, classroom conferencing, and slideshows. Some colleges do not offer 100% online programs but instead offer hybrid programs. This means students will be required to take a few classes on-campus for training and practical lessons. Q:How long does it take to complete a phd in radiography? A:A PhD in radiography is the highest level of education you can aim for in this academic field. It can take anywhere from 4-8 years to complete the program. The program components typically include coursework, independent research studies, qualifying examinations, and completion of a dissertation. The exact duration may vary from college to college. Q:What do therapeutic radiographers do? A:Therapeutic radiographers are responsible for a variety of tasks, including planning a course of treatment with clinical oncologists and physicists, administering radiation treatment accurately and safely, operating technical equipment, calculating radiation dosages for patients and explaining the treatment procedures to patients in order to help them make an informed decision.